Harris School Nutrition Solutions is proud to announce that Searcy County School District in Marshall, Arkansas has chosen to upgrade to eTrition, our cloud-based child nutrition solution. The district is a long-time user of the Meal Tracker system, which currently operates in three cafeterias for all K-12 students in the district. Searcy County is eager to upgrade to gain better efficiency in its point-of-sale reporting. Another factor in its decision is eTrition’s ability to schedule and send low-balance voice and text messages to parents. 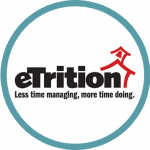 The district plans to go live on eTrition during the early weeks of 2016.